Your child’s birthday party is always going to be a big event. It’s a way to celebrate another milestone year, and give them a chance to enjoy memories that they will cherish. With that said parents are known for going out of their way to ensure that the party is a huge success and that all the kids have a great time, not just the birthday boy or girl. If you’re tired of throwing the same type of parties that get a lukewarm reception at best, it may be time to bring a little entertainment into the mix. 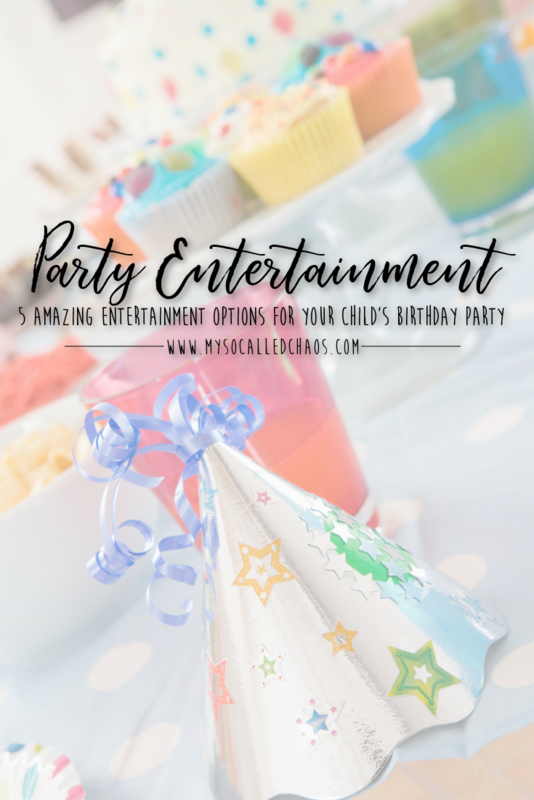 Here’s a look at five amazing entertainment options for your child’s next birthday party. While this option is nothing new, it has stuck around for good reason. Magicians have the ability to capture and hold children’s attention like no other. Depending on the age of the child, you can request either the more involved and elaborate style of magician or something more simple for the young ones. Look for a magician that is able to customize their act based on your child’s age and interests. For active kids, the best thing you can do is give them something they can burn off a little steam doing. Inflatable rentals are often a fabulous option for this style of birthday party. If the party is taking place during the warm summer months, you can take a look at the water slide rentals through Air Fun Games. This is a great example of an activity that will keep kids busy and happy for the entire duration of the party. As an added bonus, with these rental companies they are the ones who come in, deal with the set-up, and then pack it up and take it away at the end of the party. This means you can sit back and leave all the work to someone else. Kids are often animal lovers and have a real interest in a variety of species and their habits. If this sounds like your child, why not bring the zoo to them on their birthday. There are a number of petting-zoo styled companies that will bring animals to your house allowing for a close encounter. Things such as snakes, lizards, spiders, foxes, skunks and more are all common with these types of companies. If your child has a favorite movie, book, or television character, you can look to hire a character impersonator or two. This provides a wonderful photo opportunity for the birthday child and all their friends. Maybe the carnival is something that grabs the attention of your child, so why not create that same atmosphere at your home? You can hire a full carnival crew such as a juggler, face painter, balloon maker and cartoonist. By putting in the extra effort to include entertainment at your child’s birthday party, you’ll be making sure they have the most special birthday yet. What are your favorite entertainment options? Psst, need more party planning tips? I’ve got them here: Tips for Planning Your First Party Ever.